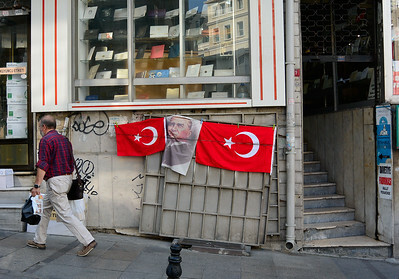 A mailman rests inside a post relay box in San Francisco, California. 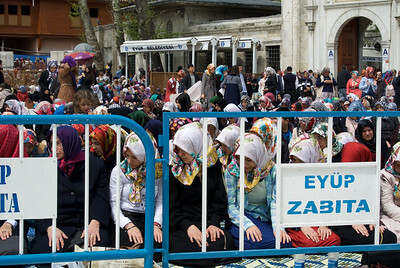 September 7, 2017. 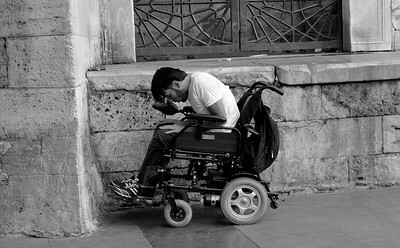 Photo by Lorelei Trammell. 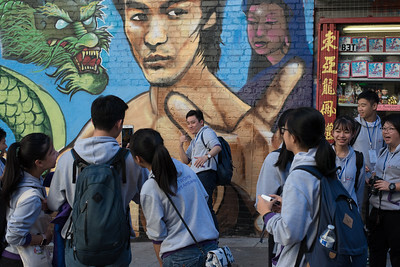 Students take pictures next to a Bruce Lee mural in San Francisco, California. 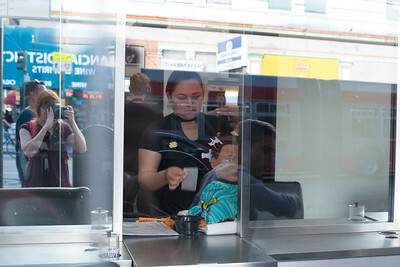 October 23, 2017. Photo by Lorelei Trammell. 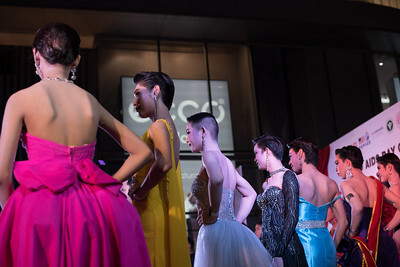 A cosmetology student dying mannequin hair. San Francisco, California. 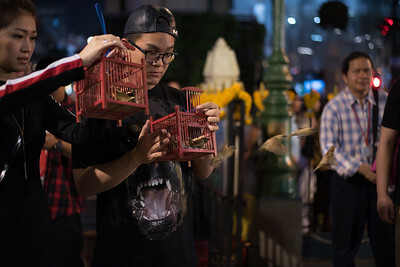 October 23, 2017. Photo by Lorelei Trammell. 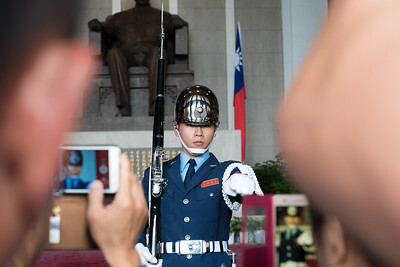 A Sun Yat-Sen Memorial guard in Taipei, Taiwan. November 9, 2017. 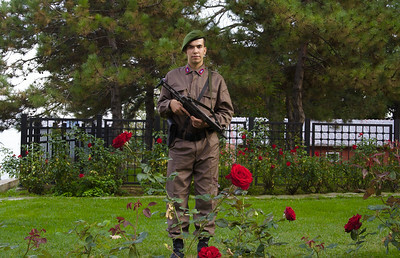 Photo by Lorelei Trammell. 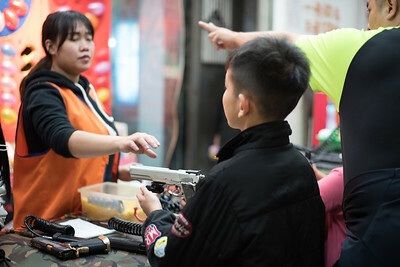 A game vendor reaches to take back a gun at Raohe Night Market in Taipei, Taiwan. November 9, 2017. Photo by Lorelei Trammell. 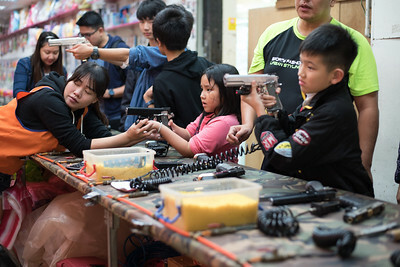 A woman teaches a girl how to use a bb gun at the Raohe Night Market in Taipei, Taiwan. November 9, 2017. Photo by Lorelei Trammell. 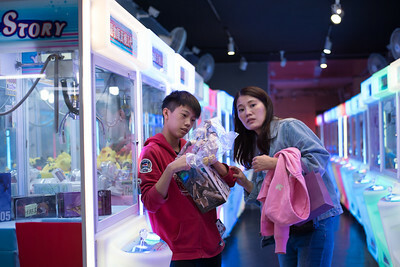 A boy unwraps the prize he won at the Tonghua Night Market in Taipei, Taiwan. November 11, 2017. Photo by Lorelei Trammell. 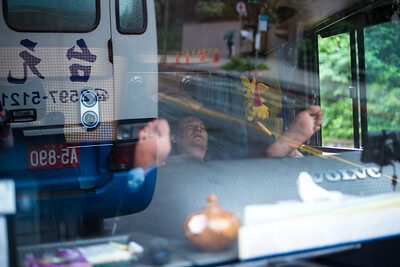 A napping bus driver in Taipei, Taiwan. November 20, 2017. Photo by Lorelei Trammell. 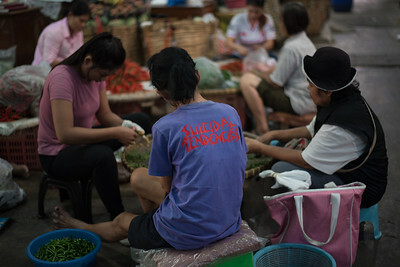 Sellers at work in a vegetable market, Bangkok, Thailand. November 23, 2017. Photo by Lorelei Trammell. 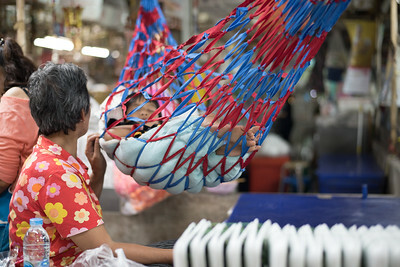 A woman swings a child in a hammock at the Pak Klong Talad (Flower Market) in Bangkok, Thailand. November 23, 2017. Photo by Lorelei Trammell. 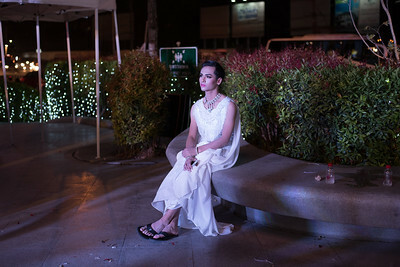 A contestant for World Aids Day sits alone. 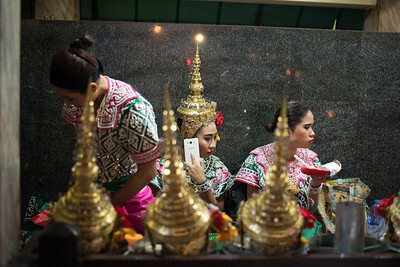 Chiang Mai, Thailand. December 1, 2017. Photo by Lorelei Trammell. 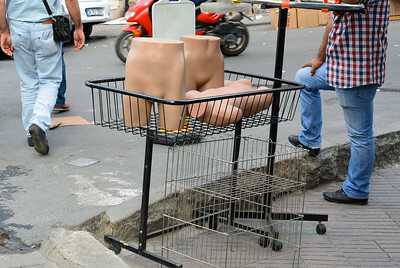 A box seller at Warorot Market in Chiang Mai, Thailand. December 2, 2017. Photo by Lorelei Trammell. 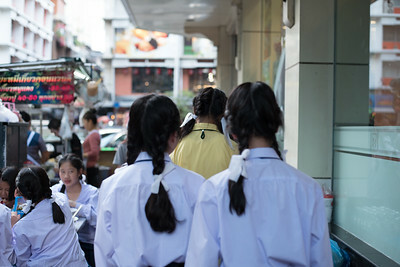 Students are let out of school in Bangkok, Thailand. December 7, 2017. Photo by Lorelei Trammell. 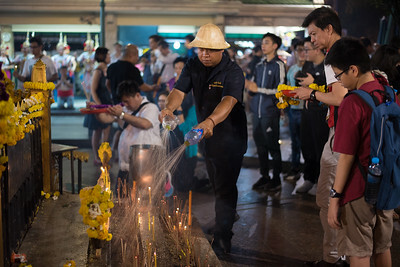 A man paints the bottom of a Buddha statue in Bangkok, Thailand. December 11, 2017. Photo by Lorelei Trammell.